Wolfgang Kosse was born on 27 September 1918 at Berlin. Kosse served with JG 26 from the outbreak of World War 2. Leutnant Kosse was assigned to 6./JG 26. He achieved his first victories during the Battle of France, including his first, a RAF Lysander army reconnaisance aircraft, shot down over Mons on 17 May 1940. On 23 August 1940, Leutnant Kosse was appointed Staffelkapitän of 5./JG 26. Oberleutnant Kosse recorded his 10th victory, a RAF Spitfire fighter shot down near Calais, on 4 April 1942. On 4 May 1942, Kosse was transferred to undertake a gunnery course. On its completion he was transferred to JG 5 where he was appointed Staffelkapitän of 1. Staffel based at Oslo/Fornebu, Norway. Kosse was appointed Staffelkapitän of 5./JG 5 on 1 June 1943. However, on 30 November, Kosse was relieved of his command and demoted to the rank of Flieger for making an unauthorised flight and damaging an aircraft. 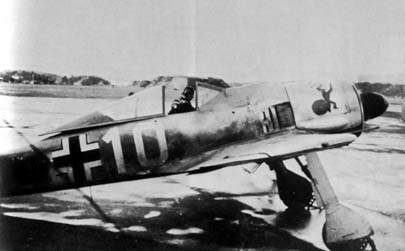 Fw 190 A-4 “White 10” flown by Oberleutnant Wolfgang Kosse, Staffelkapitän of 1./JG 5. Oslo-Fornebu, October 1942. In January 1944, Kosse volunteered to serve with Sturmstaffel 1 performing Reischsverteidigung duties from bases in Germany. He recorded his first four-engine bomber shot down on 11 February when he claimed a USAAF B-17 for his 18th victory. In all, Kosse claimed five victories with the unit, all four-engine bombers. On 8 May 1944, Sturmstaffel 1 was redesignated 11./JG 3. Kosse added a further victory with this unit and possibly claimed additional unconfirmed victories. 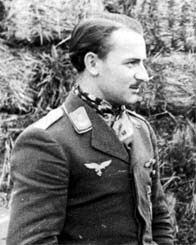 In October, Hauptmann Kosse was appointed Staffelkapitän of 13./JG 3 with his victory total standing at 26. 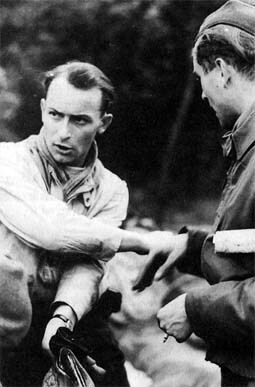 Wolfgang Kosse (left) of 10./JG 3 and Lt. Karl-Heinz von den Steinen of 11./JG 3 (3 victories) discuss combat tactics. June 1944, Dreux. On 24 December 1944, Kosse claimed his final two victories when he shot down two RAF Typhoon fighters in the Luttich area. However, he was then shot down in Fw 190 A-9 (W.Nr. 205 265) “White 6” and killed by RAF Tempest fighters. It is thought that his victor was the New Zealand ace Evan Mackie (21.5 victories, 2 probable and 10.5 damaged victories) of 274 Sqn, RAF. Wolfgang Kosse was credited with at least 28 victories. Some sources quote his final score as low as 20 and others as high as 46. He recorded six victories over the Eastern front. Of the 22 victories recorded over the Western front, six were four-engine bombers.